We (Select Strategies in partnership with Enterprise Ireland), some Silicon Valley gurus and some great business coaches, Sean Baker, Harry Largey and Cathy Winston set out to see if we could equip 25 very early stage companies with the roadmap for how startups get to product/market fit faster (through a new programme, called SPRINT). We and the participants faced lots of challenges. For example, how a games company gets to product/market fit can appear to be very different to a B2B company? Early stage startups have different needs, which can change literally by the week as they learn new things. Equipping founders with process and tools to get to product/market fit faster helps. It forces decisions, experimentation and action. Peer learning and founders holding other startups accountable is the glue to what keeps other startup teams on track e.g. You committed to customer interviews – so whats holding you back from doing them? 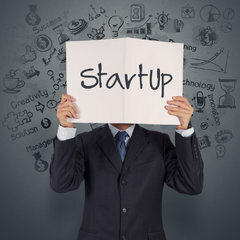 Startup is not a solo sport. Teams that have committed founders (at least two) seem to make progress far faster than the solo founder. Many tools are available to help startup teams – choosing the right tools and applying them with rigour and discipline brings clarity more quickly. Sometimes that clarity provides the path to guide a great business. Sometimes it tells the founder that he has no business. Both answers are better to find out more quickly. It is still early stage in building the community of practice on product/market fit but there are reasons to be optimistic. Future generations of entrepreneurs may have a clearer roadmap.